More Start-Ups Are Staying Private. What Are the Implications? In 2016, Skillz had $54.2 million in revenue with a staggering 50,000 percent growth rate in three years. The San Francisco-based software company with 111 employees ranked first in Inc. magazine’s annual list of the fastest-growing privately held companies. A company like Skillz, which makes a mobile platform that allows users to host video game tournaments, would seem primed for an initial public offering. The shares sold with an IPO would garner massive amounts of capital to fuel future expansion. However, many companies today are choosing a business strategy that forgoes the time-honored startup tradition that’s made multimillionaires and billionaires of the founders, early employers, and investors in such successes. As more start-ups are staying private, what are the implications? In 2014, there were 291 initial public offerings, the highest level since 2000. Two years later, that number had plummeted to 112 IPOs. In 2015, there were about 4,300 publicly traded companies in the United States, down from a 1996 peak of about 8,000. 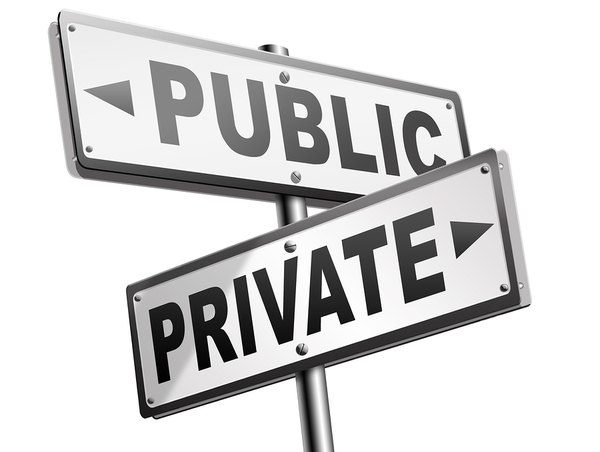 Companies cite several reasons for staying private. There is still ample investment capital available via hedge funds and private equity funds. Remaining private means not having to deal with the constant filings and disclosures required by the SEC. Quarterly earnings calls with institutional investors and analysts are not necessary. In other cases, business leadership may want to maintain the control and decision-making authority that can be lost as a publicly traded entity. Fewer accountants and lawyers need to be hired to deal with the mountains of paperwork and filings required to remain compliant … and transparent. That lack of transparency is a major potential issue. A recent article in Insights by Stanford Business notes that Securities and Exchange Commissioner Kara Stein sees the shift of more companies remaining private as having negative consequences on investors and the public at large. Stein worries that if more companies remain private, investors face greater risks. Investor protections are less prevalent for private investors, whereas there are ample protections on the books for investors in publicly traded companies. There has been a sharp decline in recent years in the number of companies choosing to go public, What does remaining private mean for investors? Investors rely heavily on information, indices, rations, earnings reports, analysts, and other insights, to help make informed investment decisions. Without this information, and the consequences of providing it reliably, accurately, and regularly, investors face increasingly uninformed decision-making processes. Small investors, in particular, need the liquidity that the public markets provide. Those same small investors need access to a wide array of potential investments when making long-term decisions about investing to support retirement funds, children’s education, or other critical needs. Stein also argues that the institutional controls and discipline required by being a public company can be beneficial. Younger, maturing companies often need the structure and organization that are inherent in the regular disclosures, filings, and reporting. Stein recognizes that the SEC is not dissuading companies from going public. For example, she noted that the commission is looking at rules related to crowdfunding to ensure that smaller companies can raise money from smaller investors that are not part of institutional investor groups. The trend, like many in the financial markets, may be cyclical. However, it will be important to see if the latest results are part of a larger trend and what the impacts are on investors and companies.